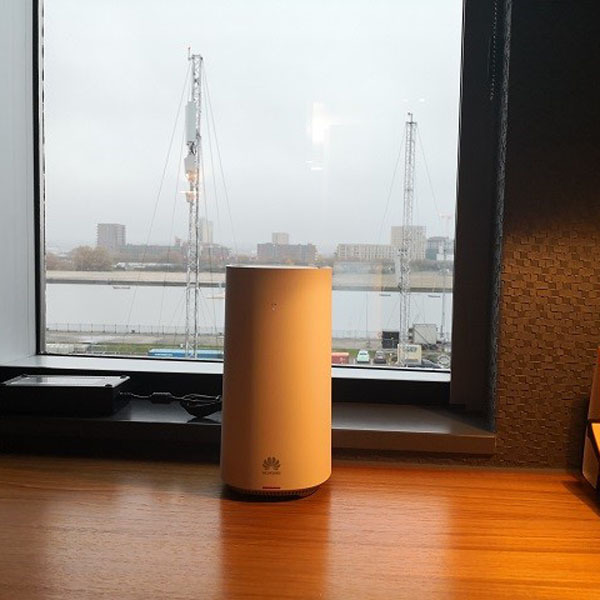 At the Global Mobile Broadband Forum, Huawei announced the first modem routers (“CPE”) for the new 5G cellular standard. The company has two devices in preparation, one for the C band (frequency range between 3.5 and 5 gigahertz) and one for the millimeter wave range between 26 and 28 gigahertz. Although the two 5G routers still have some drawbacks such as an enormous energy consumption to fight, yet it is likely to be the first commercially available 5G devices. 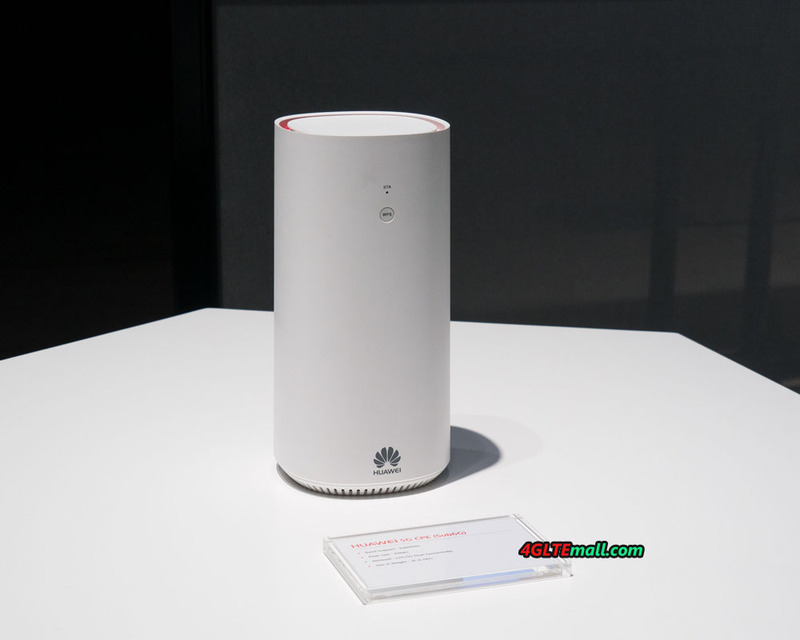 Compared to a current LTE router like Huawei B618 , the Huawei 5G router for use in the C-band between 3.5 and about 5 GHz is quite large and heavy, but the first 5G devices are safe to handle. 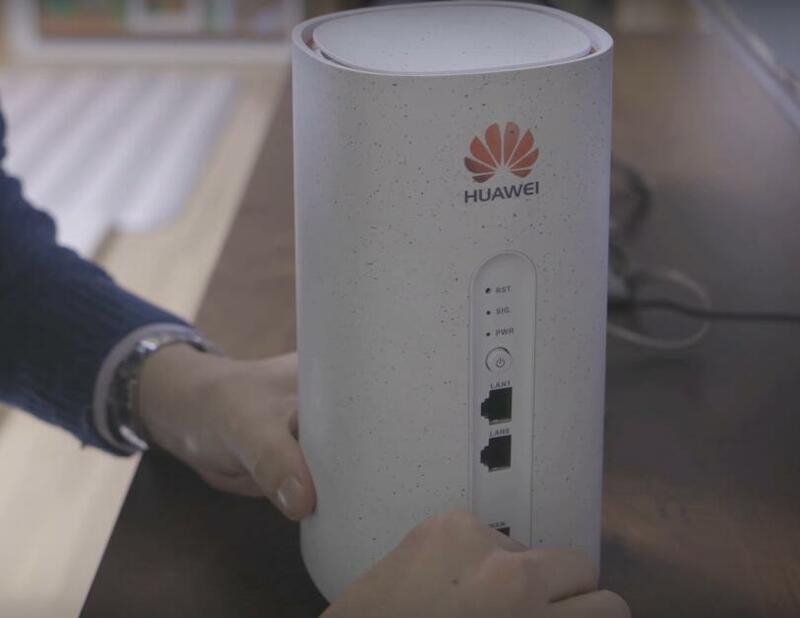 According to the manufacturer, the Huawei 5G router should be equipped with two RJ45 Gigabit LAN ports and WLAN 802.11ac (2.4 GHz and 5 GHz). The 5G C-Band Router is backward compatible with the 4G LTE standard and comes with a 2T4R antenna configuration, which means: data can be received on four antennas while sent via two antennas. 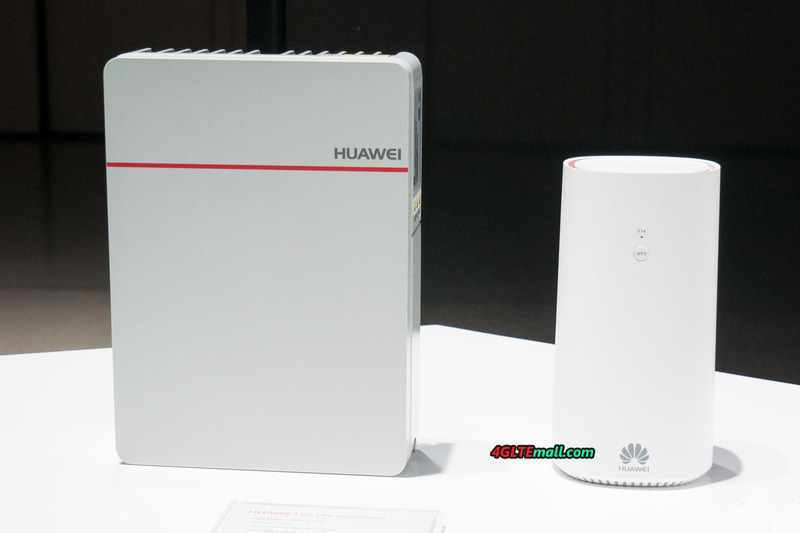 The Huawei 5G router for the millimeter-wave frequency range between 26 and 28 gigahertz is visually hardly distinguishable from the sister model for the C-band. But there is one important difference: millimeter waves can hardly or never enter buildings, so a line of sight to the 5G transmitter is required. This is done by an outdoor unit (ODU) integrated with the entire modem technology. The indoor unit (IDU) features all the connections and the WLAN technology. The indoor and outdoor units are connected via LAN cable, the power supply of the outdoor unit is realized via Power over Ethernet (PoE). As can be seen on the data sheets shown above, both Huawei 5G devices have an enormous power consumption, at least under load. The C-band model consumes up to 120 watts, while the mmWave model even up to 146 watts. So when the 5G router working, the power consumption is more like a gaming notebook rather than a router. For comparison: common LTE routers such as the Huawei B715 LTE router consume up to 12 watts during heavy load, ie one-tenth of them. 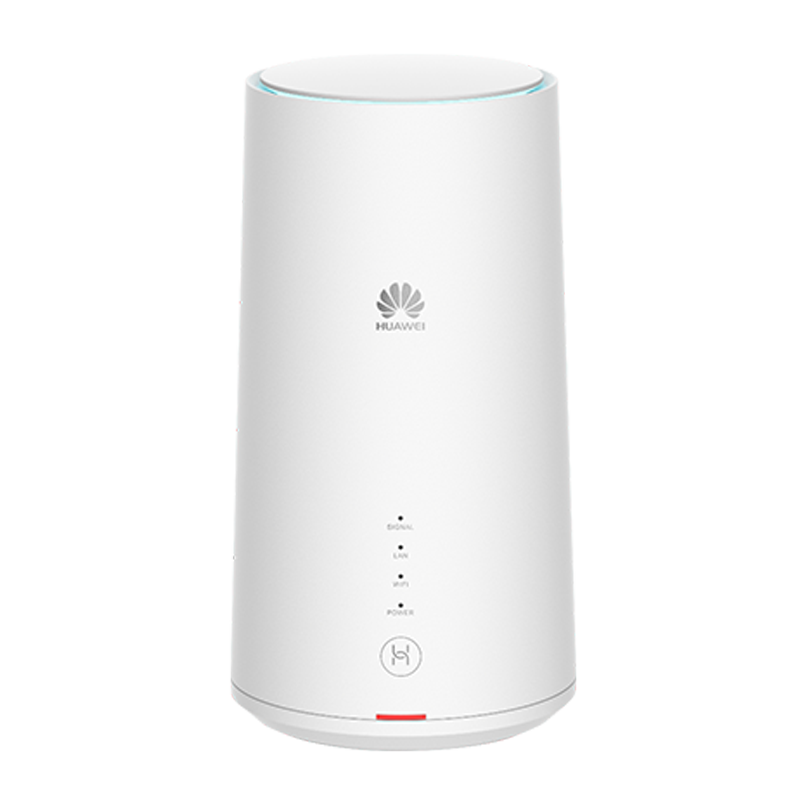 However, Huawei emphasizes that only the first generation of the 5G modem will have such high energy consumption. 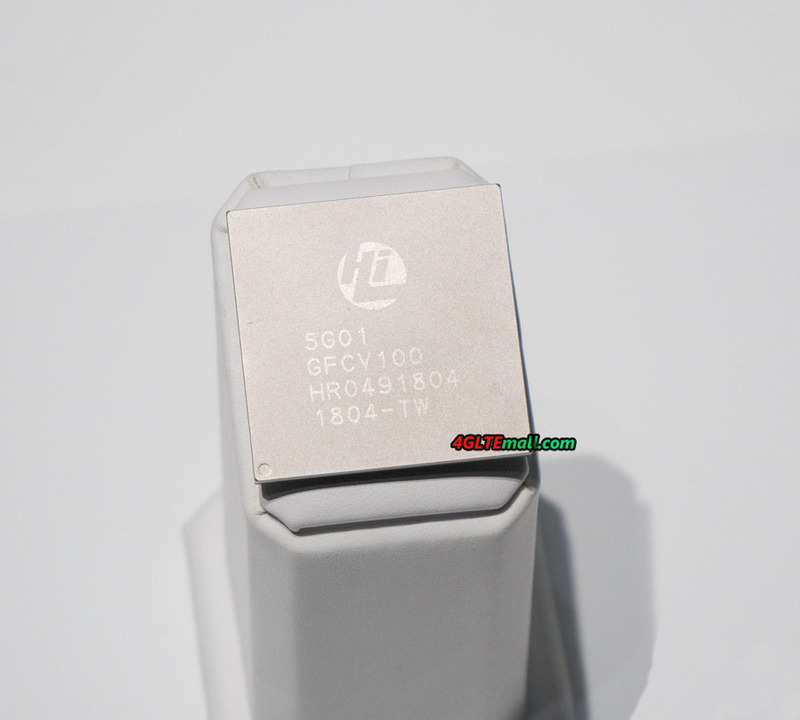 It is also likely that commercially available 5G routers will have a newer chipset and thus lower power consumption. 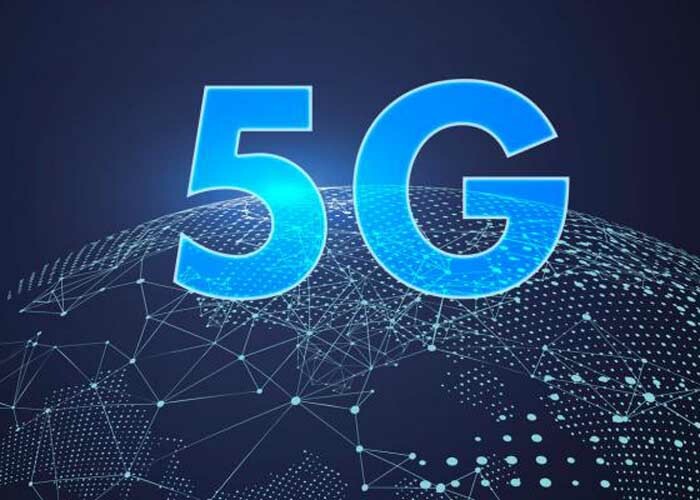 The Federal Communications Commission (FCC) of the United States has recently completed compatibility testing of the first 5G router, which will be used by customers using the wireless Internet connection. The Samsung router with the designation SFG-D0100 will be available in the offer of the American operator Verizon. This equipment works in the 5G mmWave 28 GHz millimeter. 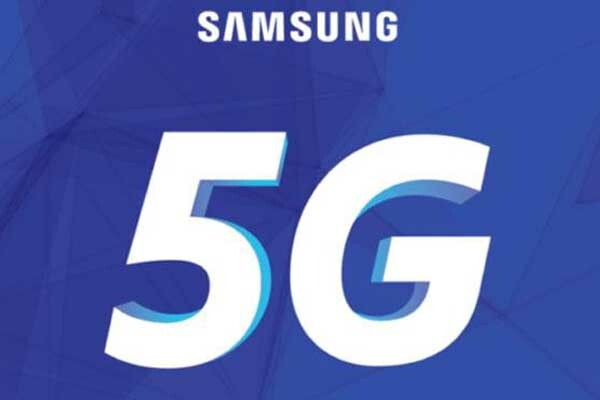 The 5G terminal “SFG-D0100” made by Samsung Electronics (Samsung Electronics) passed the Federal Communications Commission (FCC) on April 30, 2018. FCC ID is A3LSFG-D0100. The frequency of the mobile network is certified at 27.50 to 28.35 GHz. Radio waves from the 28 GHz millimeter range have the same strong propagation suppression. This means that the range of the base station is small. However, engineers working on 5G solved this problem using beamforming technologies. This means that both the base station and the client’s device can form, by means of the antenna system, a directional antenna radiation pattern aimed at the direction chosen by the system. 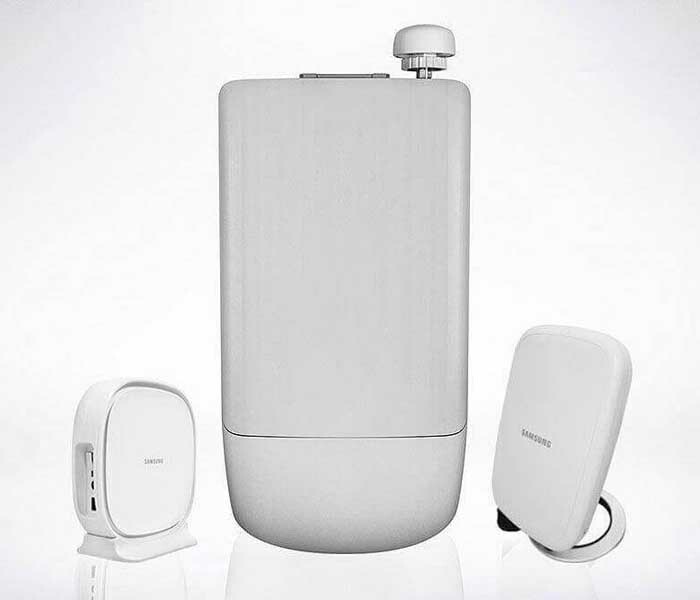 The Samsung 5G router uses for this purpose 2 antenna systems, of which each of them consists of 32 small antennas. Each system radiates on a different polarity, so data transmission takes place in 2 × 2 MIMO mode. On the other hand, the very high frequency allows us to occupy the 800 MHz wide channel (here we aggregate 8 blocks of 100 MHz each). Samsung SFG-D0100 is the model number of the unreleased terminal. It is customer premises Equipment (customer premises equipment: hereinafter referred to as CPE) for indoor use. 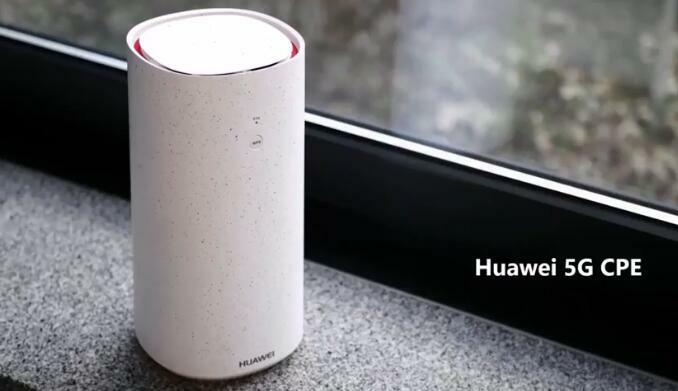 It corresponds to the millimeter wave (mm Wave) of the 28 GHz band which is considered as the leading candidate frequency band of the fifth generation mobile communication system (5G) from the frequency certified by FCC. In the United States, Verizon Wireless plans to commercialize 5G for Fixed Wireless Access (FWA) in 2018, and Samsung Electronics has decided to deliver communication equipment to Verizon Wireless in 2018. 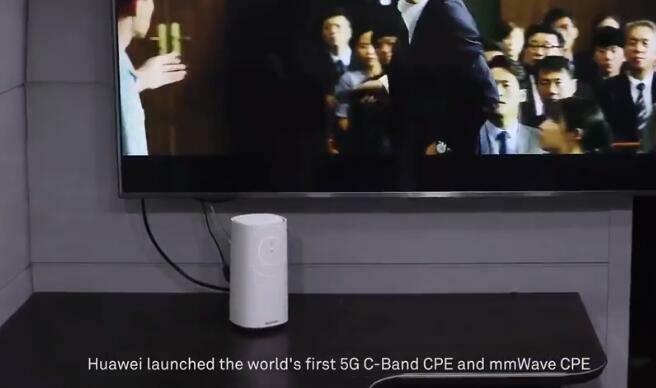 The SFG-D0100 is likely to be a 5G indoor CPE provided by Verizon Wireless’ 5G. In FCC, labels and terminal diagrams are released. From the label we know to manufacture in South Korea (South Korea), China, Vietnam factory. A few days ago, the operator SK Telecom in South Korea announced the industrial first 5G WiFi hotspot router, which integrates Broadcom’s BCM4708 and BCM4360 into its newest platform. And SK Telecom will ensure more reliable connectivity to its customers by offloading data traffic to an IP network via a fast and robust 5G WiFi connection. To finish this target, SK Telecom is dedicated to deploy the 5G WiFi Hotspot Router in 802.11ac standard. Working with Broadcom, the global innovation leader in semiconductor solutions for wired and wireless communications, SK Telecom will provide an upgraded Wi-Fi experience for the customers through differentiated technologies and services befitting the Gigabit Internet environment that is expected to expand rapidly from 2013. To release the stress on crowed cellular networks from explosion of internet data traffic over mobile networks, SK Telecom is leading the role in telecommunication industry to address the challenge by combining 5G Mobile WiFi to the latest hotspot router platform and offload data to Wi-Fi. * The data rates of Broadcom’s 5G WiFi is three times faster and up to six times more power efficient than previous 4G Mobile Wi-Fi. * Wireless gadgets powered by 5G WiFi provide broader coverage and allow consumers to experience faster video streaming and connect multiple devices simultaneously all while extending battery life. * Broadcom’s TurboQAM® technology implements the highest data-rate 256-QAM mode in 2.4 GHz for faster throughputs. * Advanced beam forming, Low-Density Parity Check (LDPC) code and Space-Time Block Code (STBC) support for better coverage and more reliable connectivity.